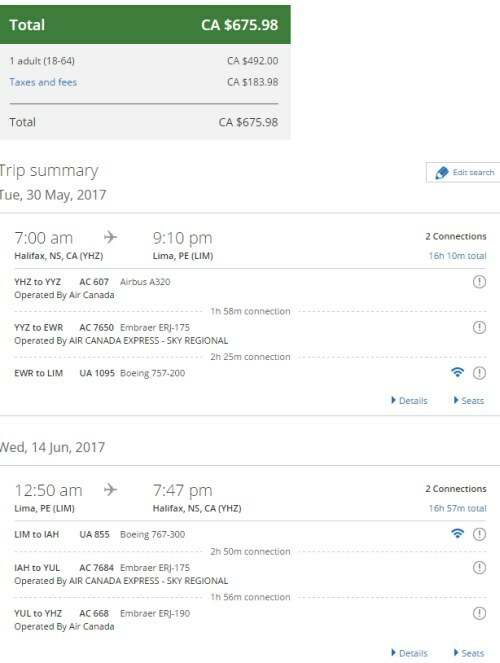 Air Canada and United are showing some great prices from Halifax to Lima, Peru for travel in April, May, and June 2017. The flights do have 2 stops each way, but a few dates have relatively fast flights with 2.5 to 3.5 hour connections. Note: you may need to choose the flight with 16h, 57m of travel time on the way home to see a price of $675. May 11 to May 23 -- new! May 23 to June 1 or 5 -- new! Jun 8 to Jun 20 -- new! 3. Click through from Google Flights to the United Airlines website to make the booking. 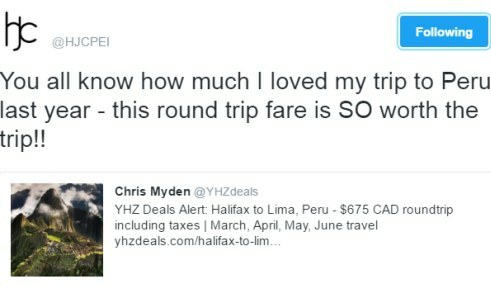 halifax, yhz, flight deals, air canada, south america, united airlines, lima, lim and peru. 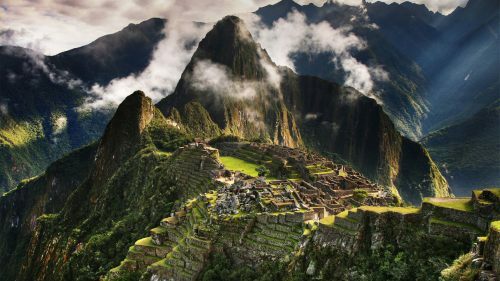 2 Responses to "Halifax to Lima, Peru - $675 CAD roundtrip including taxes"
I can confirm this deal! We just booked our flights to Lima for the end of April and for both of us round trip it came to 1,349.36 CAD, fantastic deal! Definitely an amazing price, have a great time Maggie!